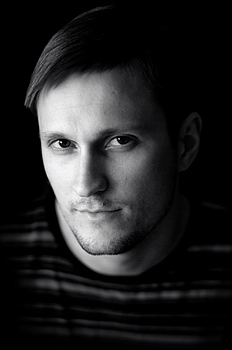 Born in 1984, Rafal Ziejewski lives in Szczecin, Poland. Ever since he was young, he has been fascinated by remote countries, cultures and travelling. He started taking photographs in 2008, when he decided to buy his first DSLR camera. Professionally a lawyer, but in his free time – a travel photographer. Constantly learns how to take better and more interesting photos. His work has been published so far in: “Lonely Planet Magazine” (UK, Thailand edition), “Poznaj Świat” magazine and “Rzeczpospolita” newspaper. 2016 – 4 x Honorable Mention in Monochrome Photography Awards, London. 2015 – Special Mention in Travel Photographer of the Year 2015, London. 2015 – 2 x Honorable Mention in International Photography Award, Los Angeles. 2016 – TPOTY group exhibition, Hull International Photography Festival, Hull, UK. 2016 – TPOTY group exhibition, Spazju Kreattiv, St James Cavalier, Valletta, Malta. 2016 – TPOTY group exhibition, University of Greenwich, London, UK. 2010 – „Portrety z podróży” solo exhibition, Gryfiński Dom Kultury, Gryfino, Poland. 2009 – „Szczecin zagubiony” group exhibition, Kawangarda club, Warsaw, Poland.